Eric and Grissel Agyemang-Duah are both Ghanaians, from the Akan tribe. Photos: Supplied. 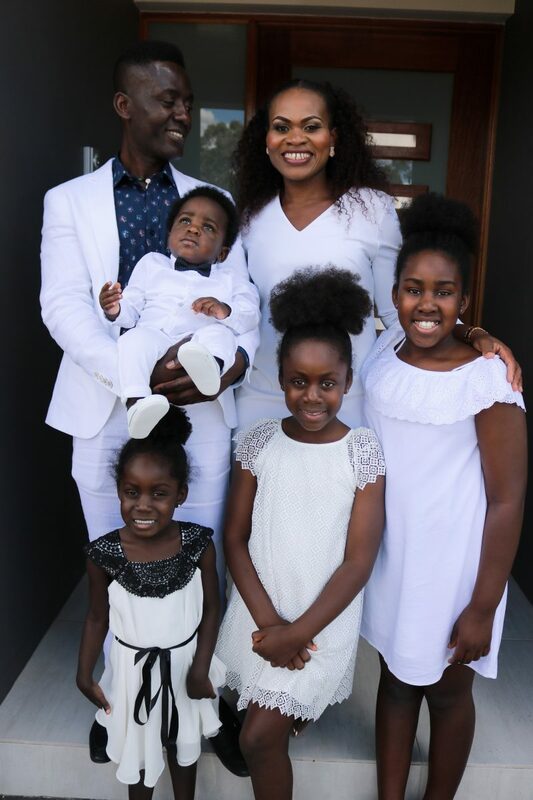 On the 10th of November, with the beautiful Canberra sun shining and many family and friends present, Eric Agyemang-Duah and his wife Grissel Agyemang-Duah, both from the Akan tribe, named their son in a Ghanaian traditional ceremony. Naming ceremonies in the Akan tradition (abadinto) from the West-African nation of Ghana are a very special occasion which brings together family and friends from all walks of life to celebrate God’s gift, in the form of a child, to new parents. This recent ceremony in Canberra gives fascinating insights into how much family and cultural ties matter to the African community here in the ACT – a community that represents a portion of more than 180 different countries of birth represented in this beautiful multicultural city they now call home. 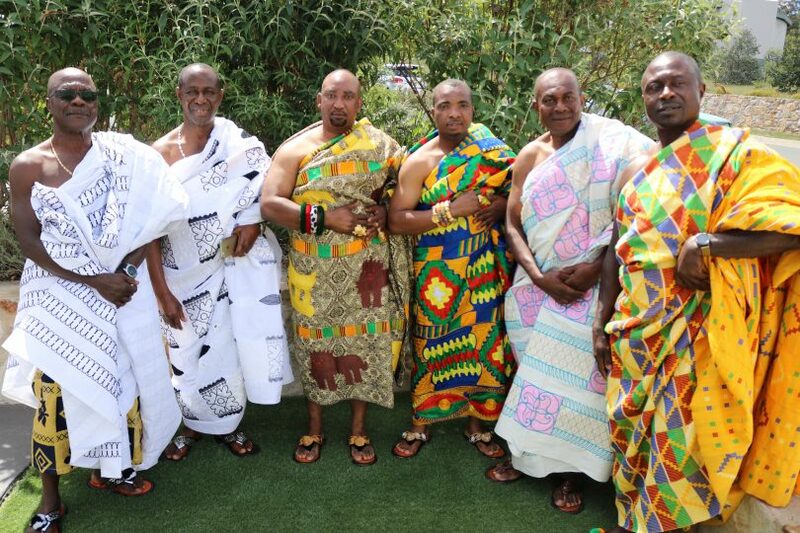 Ghanaian elders gathered to carry out the ceremony for the Agmeyang-Duah family. The ceremony began with an elder who narrated how important the day was to name the child. He then took the child from the parents and held him on his lap. There were two cups; one containing water and the other traditionally a fermented drink called nsa which in this case was substituted with a soft drink. The elder dipped his index finger into the water and put a drop of it on the baby’s tongue saying, “when you say it is water, it is water”. This was also repeated three times for the nsa and is intended to teach the child to always speak the truth and to distinguish what is good from what is bad. The first thing an Akan will ask you when he or she meets you for the first time is “Wo din de sen?” which translates to “what is your name?” The initial name given to a child is the “kra din” or “soul name”, which is determined by the day of the week the child was born. Most parents choose to give an English name as the first name followed by the soul name. The second name is called “din pa” or formal name which is mostly given after the father or father’s father and in most cases is in honour of an accomplished elder. The name given to the child was Elliot Akwasi Konadu Agyemang-Duah. Elliot is the English name, Akwasi is the soul name, and comes from being born on a Sunday. That’s followed by the formal name Konadu Agyemang-Duah which means ‘saviour of the nation’. The baby was named after his grandfather. “I named Elliot after my father because he is an honourable man and I want Elliott to grow up to become like him,” says Eric.“Today is a very special day for me and my family because naming our son and dedicating him back to God to take over his life is very significant for us as Christians. “As you can see around, we have friends and loved ones from all over Australia. That is what the African community stands for. I believe that it is also part of the Australian culture that we share occasions like this with family and friends to bear witness. Naming is about giving somebody an identity and having a lot of people around today makes it more significant,” he said. Beautiful family. Welcome to Canberra.